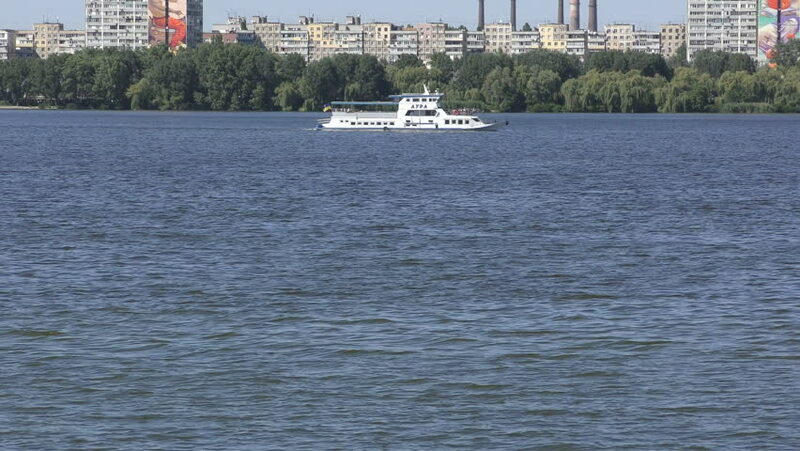 Boat sails along the Dnieper River Carablis are walking along the river. 4k00:28MYKONOS, GREECE - SEPT 2014: Mykomis Greece tender boat approach cruise ship 4k. The island of the winds. Tourism is a major industry. Widely known for its nightlife and tourism. Use since 3000 BC. hd00:31River and fishing boats wait to start working out fishing at night.